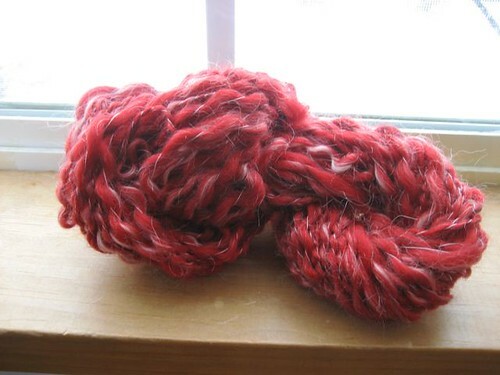 I didn’t dye eggs this year to celebrate the festivities….i dyed some roving instead. 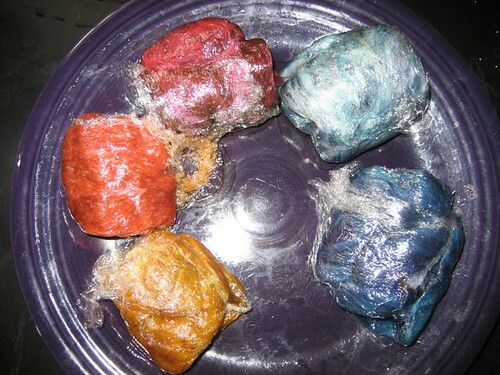 i busted out my wilton’s food coloring and dyed up small batches of roving so i can make some colorful handspun. here are my “fiber eggs” after they were microwaved. 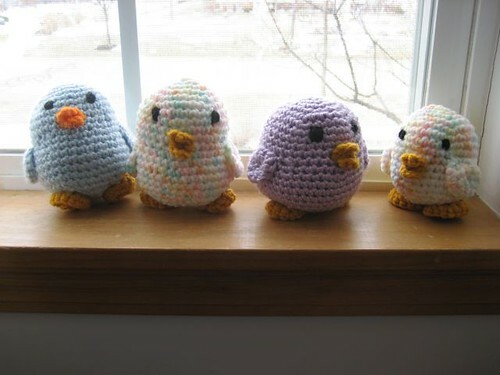 i managed to finish ALL 4 chicks for easter! (yeah! go me!) and they were well received by all of the little hands they were gifted to. here are the chicks chilling in our window. reminds me of lionbrand homespun yarn. hahaha. bob is now home from the vet. he’s still not feeling 100%, but he’s in good spirits. still trying to get a full stream when he pees, but is otherwise happy. i sure enjoyed having him sleep on my back and purring in my ear last night! :) welcome home, bob!!! spinning guild meets tomorrow night…i hope to go! hope i don’t need a cape…i didn’t get around to making one with all of the bob stuff we had going on. YEAH Bob! Glad he’s home. There’s nothing like a purr in the ear to make life seem okay. glad your kitty is better! Those chicks are so cute! I need to make some toys sometime!